Whether you want to direct guests to a location in your facility, neighborhood or municipality, LIVEWIRE’s WayFinder kiosk software and digital signage systems are for you. 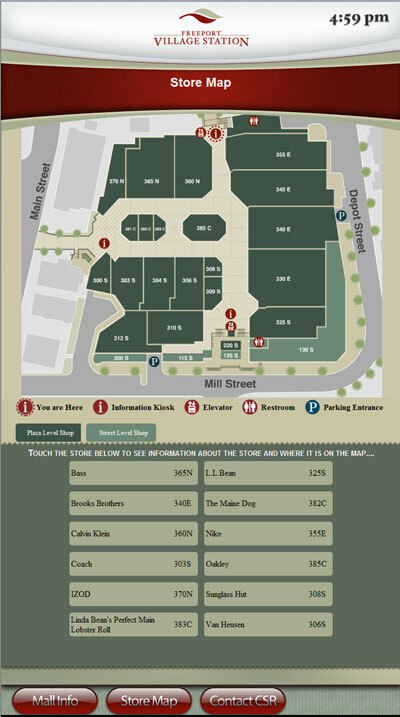 In addition to convenient maps and directories, our kiosks will print coupons, maps and special promotions. Our multi-tiered menus will allow customers to search deeper (e.g. Restaurants will open a next level of cuisine – Chinese, Mexican, etc.). Livewire’s wayfinding kiosk utilizes Enterprise Server and it’s eConcierge add-in software to update venue information, manage media playlists, and remotely monitor and manage your kiosk system.